If energy efficiency offers better return on investment than installing solar panels, why not share the wealth between efficiency investors and building owners, like solar power purchase agreements do? That's the idea behind Metrus Energy, a startup that's looking to apply the PPA model to energy efficiency improvements. Bob Hinkle, founder and CEO, thinks the idea could catch on – and might just be a way to jumpstart the commercial building energy efficiency retrofit business in a big way. Hinkle is looking for investors interested in backing what he calls efficiency services agreements. 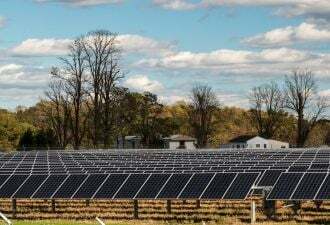 The agreements would look like the deals companies like Sun Edison set up with commercial clients who want solar power, but don't want to front the cost of installing them – the PPA provider installs and owns the panels, and shares the profits from the power produced. ESAs would work in essentially the same manner, except instead of solar panels, Metrus would install insulation and windows, energy-efficient lights and HVAC systems, sensors to power down unoccupied rooms and the other systems that make up a modern energy-efficient building. Then Metrus would claim a percentage of every penny in energy efficiency savings that the building owner is getting free of charge from those improvements, he said. "The payback on energy efficiency measures can be rapid enough so that there's enough for everyone on the deal," he said. "It's the quickest most cost effective way to have a customer lower their operating expense, and it's the quickest route toward reducing your carbon emissions." So far, so good. The nonprofit American Council for an Energy-Efficient Economy has calculated that the United States would use 70 percent more energy than it does today if efficiency improvements since the 1970s hadn't cut the energy intensity of the nation's industrial, commercial, residential and transportation sectors. Hinkle believes there's plenty more energy efficiency to be squeezed out of the nation's buildings. So does the Department of Energy, which has said that buildings consume about two-fifths of the country's total energy and are a ripe target for reduction. But while the payoffs may be out there, "What makes it tough is that it's not at one site," Hinkle said. "It's lots of little very attractive projects and investments that, when you look at them in isolation, often don't get the attention of investors." Pooling those deals not only gives banks and other investors a bigger target to aim for, but also offers economies of scale for securing lower prices for the equipment and labor that goes into them. While Hinkle conceded that the current economic climate is not an easy one in which to find new investors, he thinks the energy efficiency paybacks out there will be attractive. Aggregating energy efficiency improvements could also be a new way to push customers towards taking an "all-at-once" view of building retrofits, he said. For example, the faster paybacks from installing energy-efficient lights could help cover the longer payback costs of a boiler replacement, he said. The benefits of taking a holistic approach to energy efficiency retrofits, rather than doing them piecemeal, is already a mantra amongst the energy services companies, or ESCOs - Siemens, Honeywell, Johnson Controls, Schneider Electric and Chevron Energy Services are some of the top players – that offer such services. 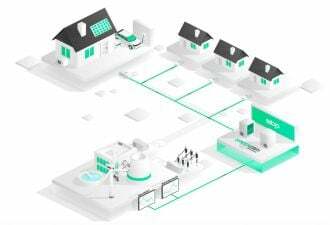 French electricity and automation management giant Schneider Electric, for example, has launched its EcoStruXure program, meant to integrate its suite of energy efficiency products and services into a Web-based system. "It allows all of our equipment and systems to play together, and software interoperability that allows those things to work together across those domains," said Paul Hamilton, Schneider's vice president of energy efficiency programs. Such an integrated energy efficiency approach can cut power bills by about a third on average, he said. Shipping giant UPS was able to retrofit a facility in Louisville so that it doubled its productivity while using half the energy using Schneider's services, he said. Schneider is also a partner with Cisco's EnergyWise, meant to link phones, computers and building systems into one IP-based energy management platform (see Cisco Jumps Into Energy Management for Phones, Buildings). The energy services industry was a $3.6 billion business in 2006, according to the trade group National Association of Energy Service Companies. Of that, about $2.5 billion was directly related to energy efficiency. Dave Asplund, CEO of Lime Energy, estimated the potential U.S. market for energy efficiency projects at $80 billion for commercial buildings and $130 billion for government facilities. "That's a pretty big market" for Lime Energy, an engineering and design company that delivers blends of products and services from multiple technology providers to ESCOs and commercial & industrial customers, as well as its own HVAC controls unit. "Nothing's cleaner than energy not used," Asplund noted. "This is frankly why the government is allocating so much money to energy efficiency... these programs provide instantaneous return on investment to taxpayers." Still, a host of challenges in selling energy efficiency to commercial customers has for the most part limited the ESCO business to what Jim Smith, president of Lime Energy subsidiary Applied Energy Management, called "the MUSH market." MUSH stands for municipalities, universities, schools and hospitals, and along with military bases and other government-run facilities have traditionally made up the majority of ESCOs' business, he said (see The Big Green Market: Schools). The commercial market has been a harder nut to crack, said Steve Schiller, an energy efficiency consultant and co-author of a white paper suggesting new business and policy models for energy efficiency recently published by CalCEF Innovations, part of the California Clean Energy Fund. One challenge is the up-front costs, he said. While government clients may be satisfied with payback periods of a decade or more, commercial customers want it paid off in less than three years or less. Then there's the general lack of experience that many building owners have in energy efficiency projects, he said. Another barrier is what Schiller called the "principal agent" problem. In short, most commercial buildings are rented, and the tenant pays the utility bills. That means the landlord has no incentive to improve energy efficiency, and the tenant doesn't have an incentive to spend money on improving a building it may vacate in a few years. That brings up another potentially thorny issue when it comes to energy efficiency, he said – how to calculate its value. After all, a solar panel produces electricity that can be metered. An energy efficiency improvement, on the other hand, has to be measured against some baseline of how much energy would have been used up without the improvements – and that complicates the financial picture. "That right now is a very big topic with the industry, getting to a fundamental question of how good is good enough in getting to the determination of what these savings are," Schiller said. Asplund agreed that the shared savings model Metrus is promoting has its challenges, which have come up for ESCOs promoting similar schemes in the past. "It is a catchy thing," he said, "but it's very difficult to prove what the savings are over time." After all, a business grows and changes over time, which could make dollar-and-cents measurements of what's been saved at question - and that can put the efficiency provider at odds with the customer, he said. At least federal policy is backing new investments in energy efficiency in a big way. The American Recovery and Reinvestment Act, for one, provides $4.5 billion to retrofit federal buildings, $3 billion to grants for state energy efficiency programs and $5 billion to assist weatherization of homes for low-income families (see DOE Doles Out $780M for Weatherization). Beyond stimulus package dollars, DOE plans to spend $80 billion over the coming years on retrofitting federal buildings for energy and water efficiency and renewable energy. Still, energy efficiency boosters like Hinkle feel that federal and state incentives have given energy efficiency short shrift in comparison to backing for renewable energy. They'd like to see the same state credits available for solar panel installation made available for energy efficiency investments (see Zero Interest Loans for Improving Home Efficiency Touted in D.C.). Schiller also supports more stringent codes and regulations to promote energy efficiency, possibly including a national building code that sets energy efficiency as a priority (see Green Building Summit: A National Building Code Coming This Year? ).